SHEBEL BERENTA, Ethiopia – Sileshi Deguale was busy working alongside his family, preparing their land for planting season, but he paused to recall how difficult the work was last year. His wife had been too ill to help with the farming. It was around that time he made the biggest decision of his life, a choice that would help his wife regain her health by protecting her from unplanned pregnancies – he got a vasectomy. Vasectomies are a relatively common form of contraception in places like Australia, the Republic of Korea and the United Kingdom, according to recent UN Statistics. But the procedure is less popular in other parts of the world, and in Ethiopia, vasectomies are rare. Perceptions about masculinity prevent many men from considering it as a contraceptive option. Still, Mr. Sileshi says he is confident he made the right decision. He and his wife already have six children. He did not want to burden her with sole responsibility for their family planning. “My wife tried both short- and long-term family planning methods for some time, but they did not go well with her health,” he remembered. Ethiopia is working to improve access to modern, reliable forms of contraceptives. In recent years, the country’s health extension programme has brought family planning services to people’s doorsteps. UNFPA is supporting these efforts by training health care workers – including physicians, nurses, midwives and health extension workers – to provide sensitive counselling about contraceptives. All family planning decisions must be fully informed and voluntarily. UNFPA also supplies Ethiopia with a variety of modern contraceptives, aiming to increase the family planning options available. Around one third of the required reproductive health commodities and life-saving reproductive health medicines in Ethiopia are being provided through the UNFPA programme known as UNFPA Supplies. These efforts are showing results. The use of modern family planning methods among married women increased from 8 per cent in 2000 to 36 percent in 2016, according to a recent survey. And since 2012, the country has added over 2 million new users of modern contraception. Family planning saves lives by decreasing the incidence of pregnancy complications and unsafe abortions. 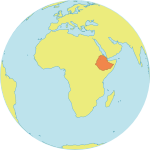 The increased contraceptive use in Ethiopia is estimated to have averted 2 million unsafe abortions and 20,000 maternal deaths. Still, the country has a long way to go. Currently, over one in five Ethiopian women has an unmet demand for family planning, according to the recent national survey, and this figure is much higher in rural areas. Most users of contraceptives are women, and in many communities, family planning is considered a women’s issue. Mr. Sileshi saw things differently. In this way, he has been a trailblazer. When community health workers visited his area to talk about family planning, he was eager to listen. And when the contraceptive methods were explained, he knew immediately what he wanted to do. He conferred with his wife, and then headed to the nearby Yeduha District Hospital to get the vasectomy. He is one of three men in his sub-district who have undergone the procedure. “I have no regrets for the decision I took, despite the fact that people in the community continue to ridicule me,” Mr. Sileshi said. His wife’s health has improved, and with it, the welfare of their family, he said. He now advises other men in his community to consider this method of family planning.